In this week’s Corn Comments podcast, Jim Woster discusses corn’s impact on the price of food. The past few years when corn prices were above average, corn received the blame for everything from increases in your grocery bill to riots in third world countries. 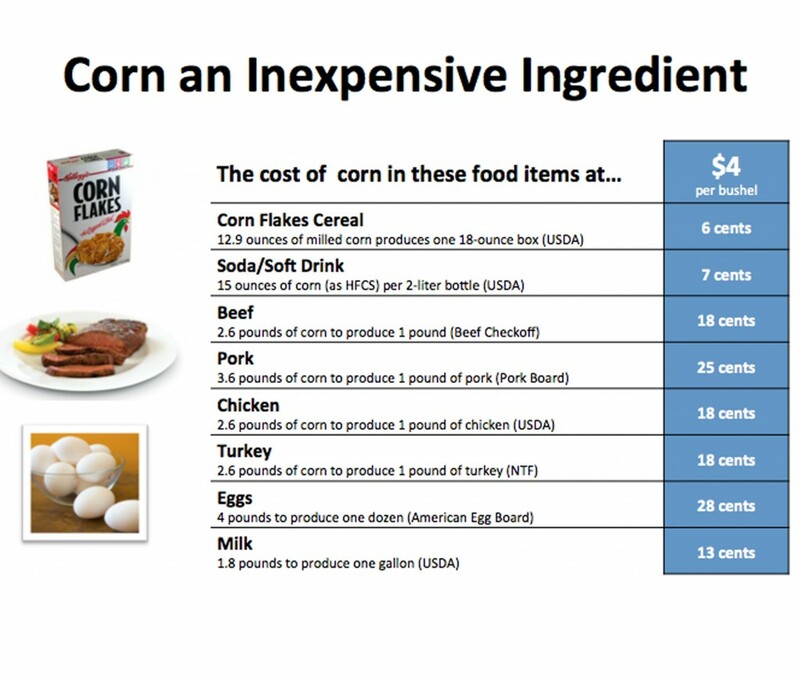 Now that corn prices have dropped dramatically has your grocery bill come down? We didn’t think so. Even though corn is widely used in thousands of everyday food and industrial products, its affect on the price of food is incredibly minimal. This entry was posted in Corn Comments Podcast and tagged corn, farm, food, Jim Woster, South Dakota.